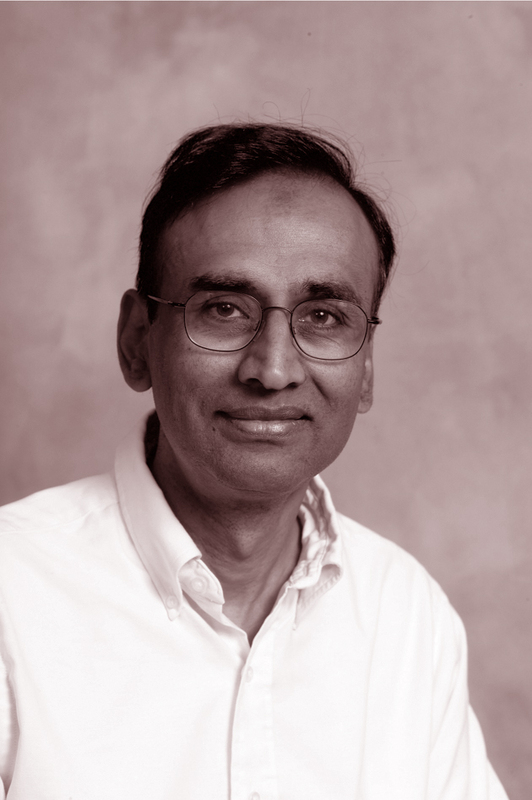 Venki Ramakrishnan obtained a BSc in physics from Baroda University, India, in 1971, and a PhD in physics from Ohio University, USA, in 1976. He then undertook a graduate programme in biology at the University of California, San Diego, and for a number of years worked at Brookhaven National Laboratory as a biophysicist. Between 1995 and 1999 he was a professor in the biochemistry department at the University of Utah and a faculty member of the graduate programmes in biological chemistry and molecular biology. In 1999 he moved to the UK to become Group Leader of the Structural Studies Division at the MRC Laboratory of Molecular Biology in Cambridge. In 2008 he became a Senior Research Fellow of Trinity College, Cambridge. He has been awarded the Louis Jeantet Prize for Medicine (2007), the British Biochemical Society's Heatley Medal (2008); he is a member of EMBO, a Fellow of the Royal Society, a Member of the National Academy of Sciences USA, and a Foreign Member of the Indian National Science Academy. In 2007 he gave the Datta Lecture and received the Datta Medal at the FEBS annual meeting in Vienna. The information on this page is based on content at Nobelprize.org © The Nobel Foundation and Venkatraman Ramakrishnan's home page at the MRC Laboratory of Molecular Biology at Cambridge University.